CAIRO, Egypt (AFP) — The terrorists who massacred more than 300 worshipers in an Egyptian mosque made no effort to conceal their identity — they showed up raising the black banner of the self-styled “Islamic State,” authorities and witnesses said. 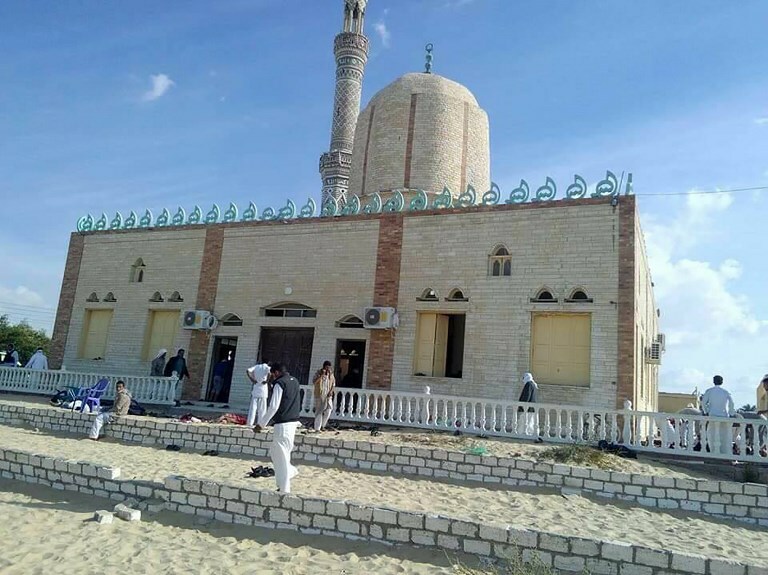 The group’s fighters had previously warned the North Sinai mosque associated with Sufis to end the mystical practices IS calls heretical, even visiting the mosque in person a few weeks before the attack, a Sufi sheikh said. But almost a week after the Friday massacre, IS has yet to claim the attack in a sign, officials and analysts say, that their gunmen might have gone too far even by the extremists’ standards. For all the indiscriminate carnage IS has perpetrated on almost every continent, never before has an attack shocked even its supporters who now insist the group is innocent. As the scale of the attack percolated in jihadist social media channels, pro-IS users denied the group’s involvement. Every terror group known to operate in Egypt, including the al-Qaeda-linked Jund al-Islam in Sinai that opposes IS, condemned the massacre. IS supporters on social media were livid when a purported audio recording of wireless communications between an IS member boasting about the attack, and another noting down details, spread on pro-al-Qaeda Telegram channels. 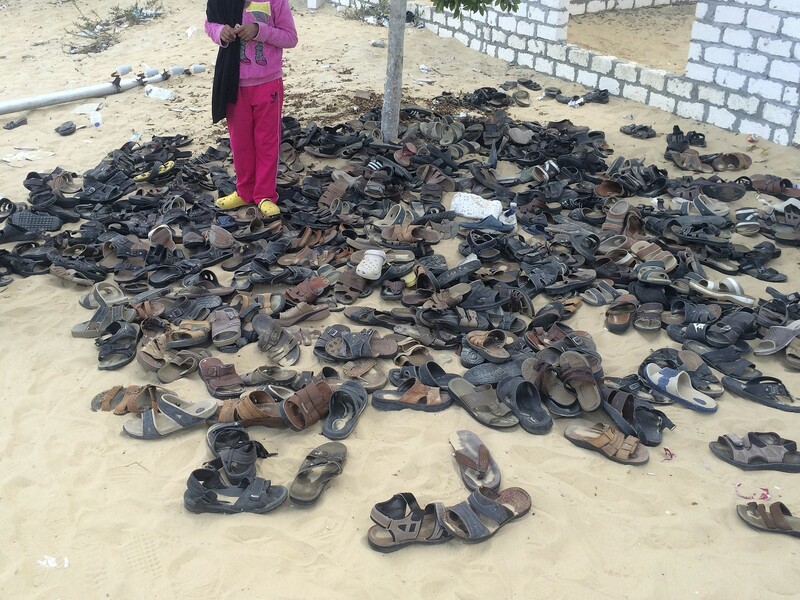 IS had targeted mosques before — usually Shiite — and Sufis. The jihadists bombed a Manchester concert on May 22 in which they were certain to kill children who had come to watch pop star Ariane Grande perform. At the time, British jihadist Omar Hussein — who may have been killed in the takeover of the group’s erstwhile capital of Raqqa in Syria — told AFP killing “disbeliever” children rested comfortably on his conscience. “As for the killing of little girls then it is permissible 2 kill the kuffaar as they kill us,” he wrote in response to an AFP query. 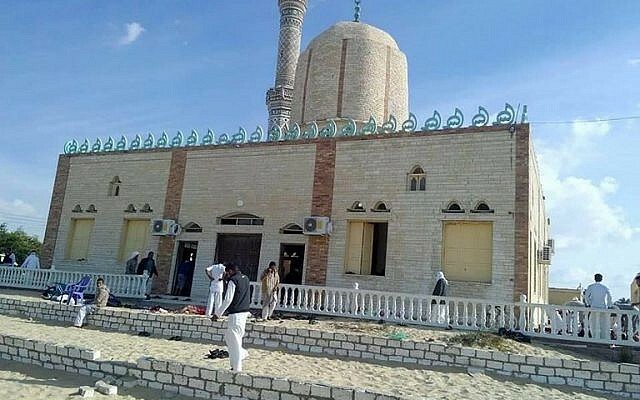 But the attack on the Egyptian mosque, packed during communal Friday prayers with hundreds of worshipers, Sufis and non-Sufis, appears to have been a step too far for IS supporters. At least 27 children died in the massacre. “Something of this scale, that killed more than ‘just Sufis,’ would be hard to justify,” said analyst Amarnath Amarasingam, senior research fellow with counter-terrorism group ISD Global. “It could be that the Egyptian or Sinai context makes this kind of attack more abhorrent and makes the group less likely to earn local support,” said a Western official. After the attack, another jihadist who regularly defends IS atrocities flatly denied IS involvement. “Not at all. Your analysis is wrong. You’ve been influenced by media reports,” he wrote in a message responding to an AFP query. 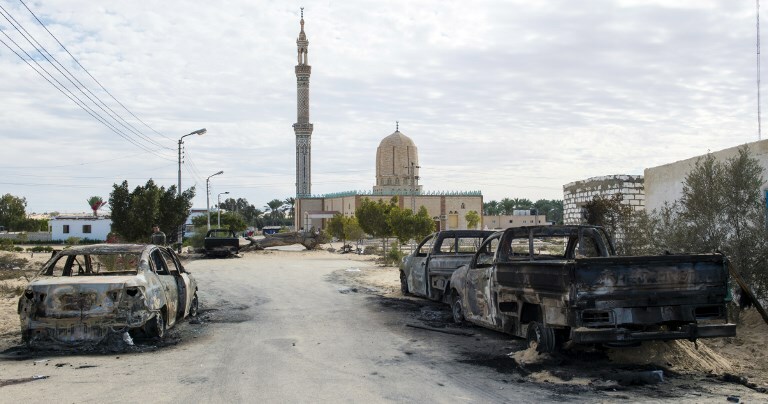 IS in Egypt, based in the north of the Sinai peninsula bordering Israel and the Gaza Strip, has killed hundreds of security personnel in attacks, and more than a hundred Christians in church bombings and shootings over the past year. “It does appear to be in line with a gradual shift over the last four years,” said another Western official. IS went “from a violent campaign by the terrorists in Sinai that was very local…and in the beginning careful not to alienate the local population…to something that seems to be much more affected by global jihadi motivations of Daesh,” the official said, referring to IS with an Arabic acronym. Egyptian President Abdel-Fattah el-Sissi has warned that IS foreign fighters will try to settle in his region as they lose ground in Iraq and Syria. 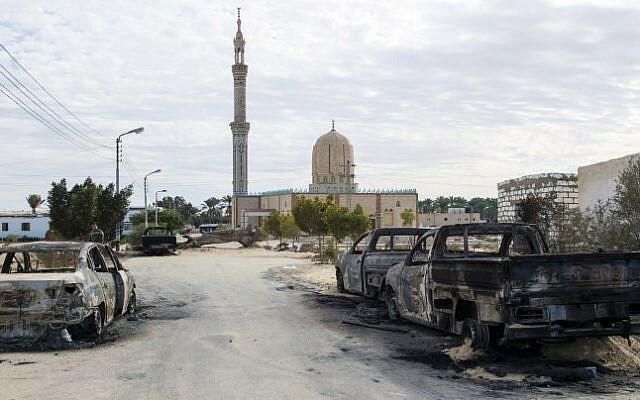 But it may have been a local initiative by the increasingly pressed jihadists in Sinai that was badly received by IS’s leadership in Iraq and Syria, a third Western official said. It is “possible that the attack was coordinated without central agreement. Hence the absence of a claim,” said the diplomat. Another possibility is that it was an attack meant to send a message to Sufis and villagers seen as pro-government, without granting it the imprimatur of an official IS claim. The Western officials agreed to speak to AFP on condition of anonymity. Hassan Hassan, a leading expert on IS, said the jihadists had called the Sufis “taghuts” in a publication, a word used in the Koran to describe the devil and tyrants. 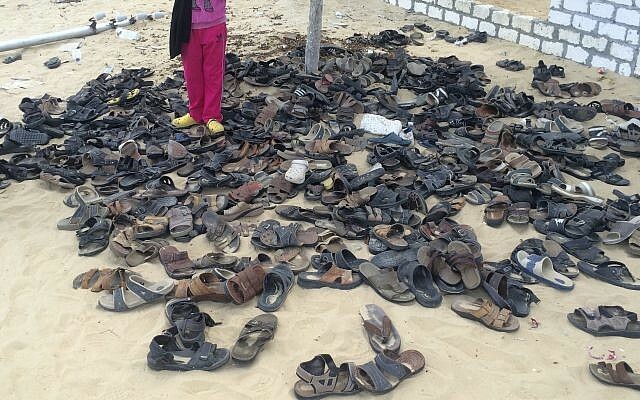 IS fighters, however, had gone too far in the past and been punished for it, he said. “When they killed the Al-Shaitat, they removed the (attackers) after that,” he said of a 2014 massacre of up to 700 tribesmen in Syria’s eastern Deir Ezzor region. “Either because they wanted to distance themselves from it or they thought they went too far,” Hassan said. Still, with IS’s media operation continuing to baffle observers, it remains possible but unlikely that the group may yet claim the attack. 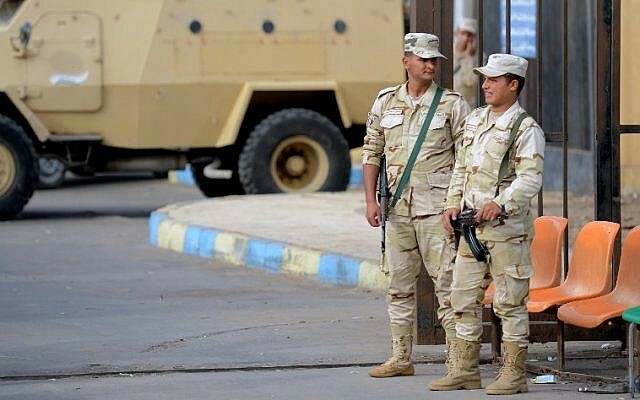 After an attack on a military toll booth south of Cairo in June, IS issued a claim three weeks later — not through the usual statement on its Telegram accounts but in its weekly Nabaa newsletter.